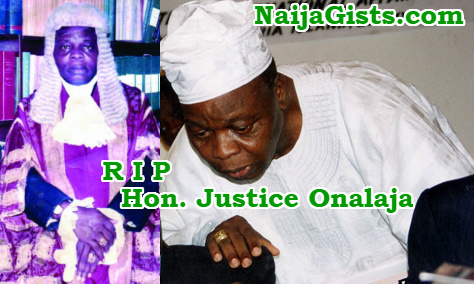 Retired Justice of the Court of Appeal and Newspaper Proprietors Association of Nigeria (NPAN) Ombudsman, Hon Justice Omotayo Onalaja has passed on to glory. The Octogenarian lost his battle to an undisclosed illness yesterday at the UCH (University College Hospital) Ibadan exactly two months to his 84th birthday. The eminent Jurist who lost his wife Margaret Onalaja back in 2002 is survived by 6 children. May God console his family and loved ones.